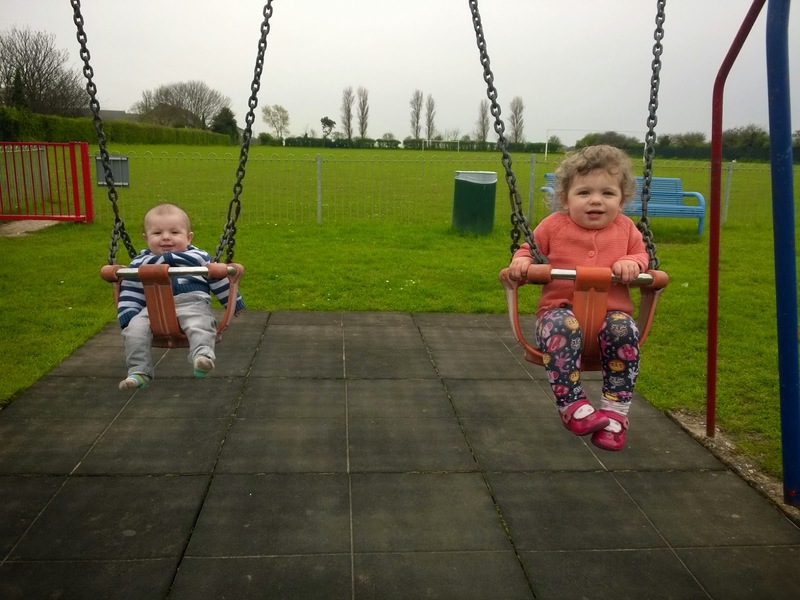 When it comes to your third baby its easy to say that you don't have the same enthusiasm in the firsts as say your first. Sometimes these firsts are missed on camera as you are busy with another child. I myself am a recipient of this there is hardly any photos of my but my two older sister there is tons. So with this I will try my hardest with little bear. I will try to document those firsts, try not forget, try not to let it be the same because he is special. He will never get the time the other two got, he will always be my youngest compared to his older sister who is just 15 months older. 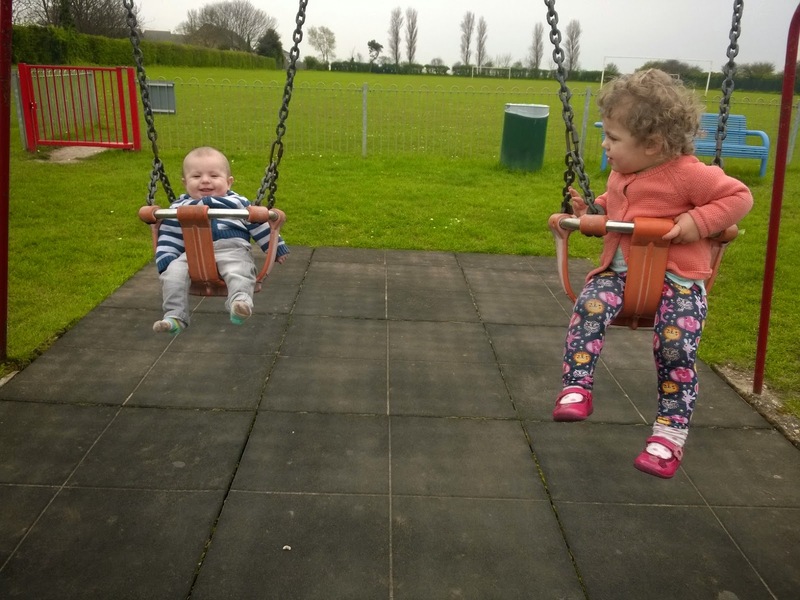 The other day we were at the park which is getting more difficult as Little bear isnt allways pleased about staying in the pushchair, which is fine if Ami is happy doing one thing but wants to play football, play on the skatepark ramps or jump of the equipment (some would think she was 7 not 1!! ).So i am constantly chasing her to try and keep her from harm. She spots the swings are free and heads over there both are free and I had nowhere to put Little bear and just plonked him in the swing. It was his first time quick must go and grab phone to take a photo. He loved it was so happy to be in the swing and sitting up. Ami was so chuffed too she really love him doing the things she does. 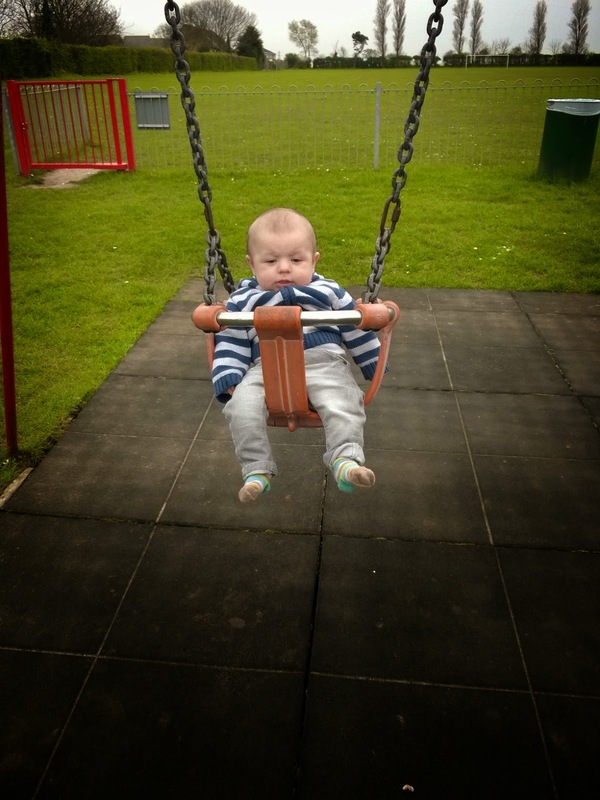 So there we are Little bear has now been on the swings. Next skate ramp (jokes save that fir 6 months). 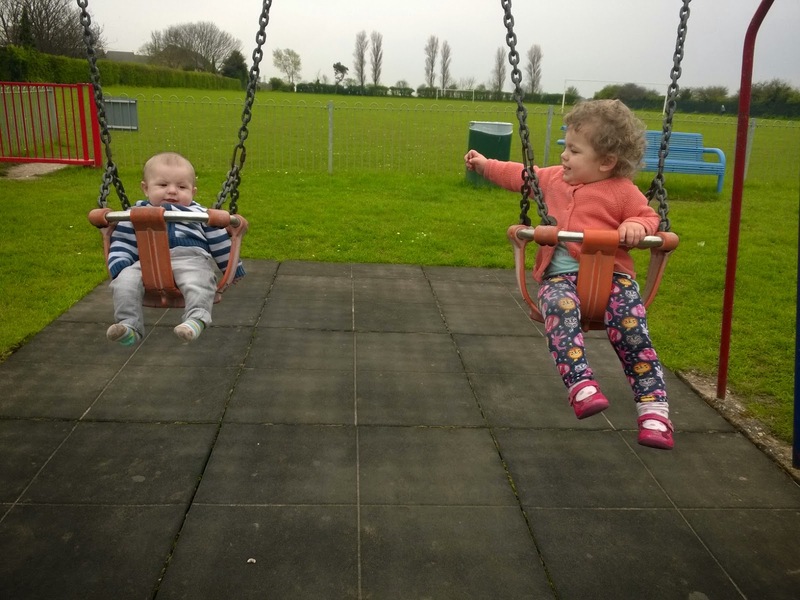 So here we are Little Bears first time on the swing. Aww! Bless! They both look like they're having a great time! Totally get you on the third baby lack of time to document etc etc. I love that my blog forces me to record Amy's milestones in a way I didn't with the other two.